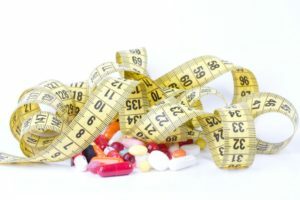 Celebrity diet pills have a dubious reputation but even so, they remain fascinating to many of us. After all, when we see celebs who look great, it’s natural to wonder how they get such a great body and keep it that way. Many of us assume that the wealthy can just use their money to pay chefs and trainers to keep them on track. 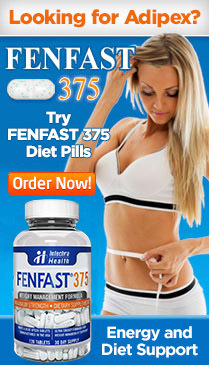 But celebrity diet pills have remained important tools for many of them, too. It’s important to keep in mind that just because a celebrity uses them – or claims to – it doesn’t mean they work. It also doesn’t mean that if they get results, it was the pill that did it. It could easily have been all the work with the chef and personal trainer! Selena Gomez – A few years ago, Selena Gomez’s weight dropped quite suddenly. A number of people claimed that it was from using a supplement based on garcinia cambogia. Of course, she didn’t reveal what other steps she took, so it’s impossible to know if she was right about her weight management. Moreover, she never actually personally claimed that she thought the pill was what caused her transformation, either. Still thousands of dieters hopped on the garcinia bandwagon because of it. Nicki Minaj – In this case, the celebrity diet pills came in the form of a detox tea supplement. Nicki Minaj hasn’t been subtle about her promotion of the brand, having used Instagram to plug a Matefit tea brand. This product involves a cleanse that you can follow for 14 or 28 days while it flushes excess water and boosts the metabolism using yerba mate, green tea and oolong tea. It sounds like a simple diuretic that doesn’t actually do anything for body fat, but Minaj seemed to think it worked. Kim Kardashian – The celebrity diet pills lucky enough to get Kim Kardashian’s endorsement were called QuickTrim. In a magazine interview, she claimed to have used the product while she lost 15 pounds very quickly. This brand’s products appear to be focused on losing water weight. Kardashian has since been sued by her fans for having claimed these supplements work without any scientific proof. Khloe Kardashian – Khloe is known for drinking lots of water and sticking to high intensity workouts to keep herself in shape. That said, she has also forayed into the world of celebrity diet pills having used supplements with or without the help of waist trainers. She has used her Instagram account to applaud everything from Slender Blend shakes to Sugar Bear hair vitamins.